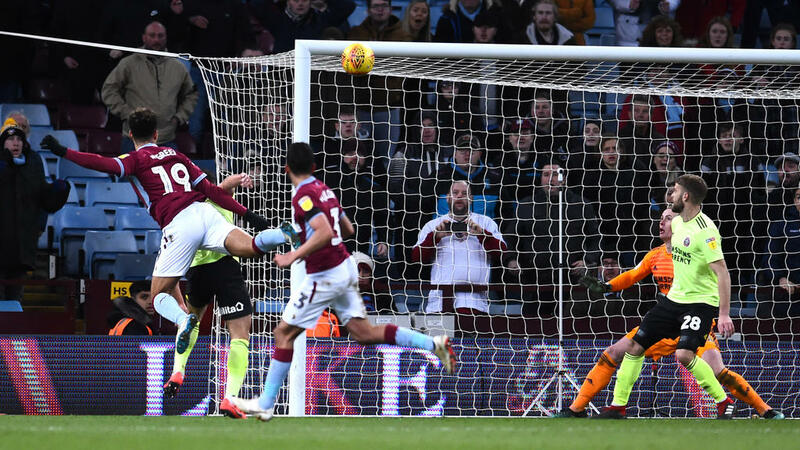 Aston Villa scored three times in the last eight minutes to rescue a thrilling 3-3 draw as Sheffield United blew their chance to go top of the Championship on Friday. Dean Smith's side looked dead and buried at Villa Park after falling three goals behind against promotion-chasing United. Billy Sharp's second hat-trick of the season had put the Blades in complete control. But Villa staged a dramatic revival sparked by Tyrone Mings' 82nd minute goal. Tammy Abraham struck four minutes later to hand Villa the momentum and substitute Andre Green headed home deep into stoppage-time to complete their unlikely fightback. United would have gone top, above Norwich and Leeds on goal difference, if they had held on in the final seconds. Instead, they remain in third place, two points adrift of the automatic promotion places. Villa stay in eighth place, three points outside the play-offs. Sharp started a remarkable evening when he netted for the 21st time this season with a close-range finish in the 11th minute. The United striker was on target again after 53 minutes despite Villa's protests that goalkeeper Nikola Kalinic had both hands on the ball before he nudged it into the net. Sharp's third goal was a 62nd minute header, but Villa refused to surrender. Mings gave them hope with eight minutes left, then Abraham tapped in after United keeper Dean Henderson parried Tommy Elphick's shot four minutes from time. When United failed to clear in the fourth minute of stoppage-time, John McGinn's cross to the far post was met by Green's towering header to spark wild Villa celebrations.